The solution approach employs standards, processes, procedures, and a structured framework for identifying the status of data, where it is in the maturity process, what the steps are to prevent predictably bad outcomes, and how cost savings and efficiencies of scale through assertive data management techniques leverage data assets most effectively. The topics and methods include treatment and consideration for administrative data, legal data, and financial data as well as technical data. Identification of systems of record and archives must include mappings for all of this varied data, as well. The objective is an integrated solution that maps data from specialized systems, but identifies its maturity for use down the lifecycle, regardless of stovepiped or special data systems – to include records management data flagging and recovery. Cynthia Hauer has 27 years of experience in data management, in a variety of sectors of practice. She has expertise in the development and authoring of policy, processes, and levels of guidance necessary to implement policy and processes. Her work has been in the NASA realm, as well as at the federal agency level and with the Defense Pentagon. She currently focuses on training of data management in the US as well as internationally in China and Europe. Bonnie Johnson has over 30 years of experience in Hardware and Software Configuration Management, and Data Management, with 32 years of employment at Motorola/General Dynamics followed by a year as the SME of Software Configuration Management with Marshall Space Flight Center of NASA through Millennium Data Management, Inc. Highlights of her career include configuration management of hardware and software as well as data management for global programs in multiple countries and oversight of software and hardware distribution for the beta testing and maintenance of the ground stations utilized by the Iridium satellite telephone system for three years. She also provided remote and on-site support for configuration management and data management of software for a multi-site telecommunications system in Malaysia. Bonnie was responsible for Configuration and Data Management training for three divisions of Motorola and then General Dynamics in the Phoenix area, was instrumental in internal assessments and validation of CMMI evidence in preparation for formal assessments resulting in Level 3 and 5 certifications, and represented General Dynamics in the development of ANSI-STD-859 and the associated handbook, serving as a primary author. She also participated as a primary author of the updates and redevelopment of Configuration and Data Management policies and procedures within Motorola government divisions and General Dynamics divisions in the Phoenix area. As an employee of Millennium Data Management, she provided support to the Undersecretary of Department of Defense office in developing guidance for Configuration and Data Management, and served as the SME for Software Configuration Management developing policy, plans and procedures for the NASA Constellation program. Bonnie has also been a guest speaker for the British Computer Society in London, the Lloyds Bank of London, and the head office of the ING Bank in Amsterdam related to Software Configuration Management requirements and implementation in an enterprise environment of global business. Her credits include, GEIA/Tech America Technical Fellowship, CMII Certification and NDIA Certification as a CCDM Certified Configuration and Data Manager. She is currently semi-retired and performing some pro-bono consulting in the Phoenix, Arizona, area and serves on the Executive Board of the Association for Configuration and Data Management as the VP of Education. 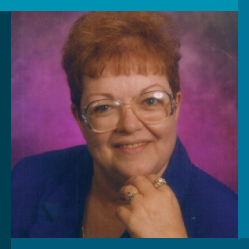 Bonnie is the single mother of four, the grandmother of four, is an avid knitter and enjoys cross-stitch, reading, travel, genealogy, and writing.